Goldcoast Ballroom is nationally and internationally known as is known as one of the Premier Ballrooms & Event Centers of the United States. It features a fabulous 42′ X 68′ floating oak (seamless) dancefloor and spacious and comfortable seating for up to 500 people at round tables for 10 around the perimeter of the dancefloor, as well as small side practice floors, a full kitchen, bar, and other amenities on site. Both Day and Evening Sessions of the Competition will take place at the beautiful Goldcoast Ballroom. A special group rate will be provided for our Competitors in a nearby high quality hotel, with shuttle service available. Both Lunch and a Dinner Buffet will be served at Goldcoast Ballroom. Our Evening Session, following the Dinner Buffet, will include not only Championship Events, Cabaret, Theatrical Ballroom, some fun Challenges, and Professional Events, but also a Spectacular Performance by one of the Very Top Professional Couples in the United States and the World! You won’t want to miss this!! Goldcoast Ballroom is owned by Jeff Sandler and Vinny Munno, both of whom are themselves accomplished ballroom dancers. Vinny Munno presides as the Music Director and Excellent DJ at our Competitions. For more pictures and videos showing Goldcoast Ballroom, see the Goldcoast Ballroom website. Goldcoast Ballroom is open and available to the public for private practice (at a reasonable floor fee of $17.00 per couple per hour), private lessons or group classes every day of the week. 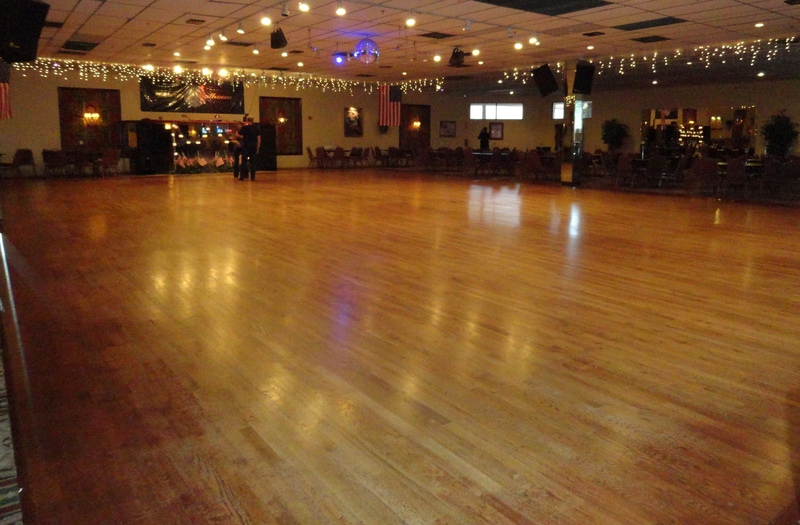 And, the Ballroom offers ballroom social dances, open to the public, every Sunday evening, Tuesday evening, Wednesday afternoon, Friday evening, and many Saturday evenings. See the Goldcoast Ballroom Calendar for details. If you wish to practice and try out the dance floor before our Competition, see our Tentative Schedule for the 2019 Competition as to times when the Ballroom floor will be available for private practice and public dance events on the two days before the Competition and on the day of the Competition. Your Competitor Entry Fees include the right to practice and try out the floor (without additional charge) on the morning of the Competition, Saturday, February 9, 2019, between 8:00 AM and 9:00 AM. A smaller practice floor may be available during the Competition. In addition, warm-up on the main floor may also be permitted during breaks between Divisions, Lunch Break, or any General Dancing Breaks, depending upon the number of Heats and whether the Competition is running on Schedule. For more information see Event/ Venue Info for Competitors, and see Tentative Schedule for the 2019 Competition. see the Contact Us page of the Goldcoast Ballroom Website.